A 4-day speculative research workshop, looking at the history and future of learning environments, taking place from 10 to 13 November 2016 in Witten, Germany. As part of this year’s autumn programme of Urban School Ruhr, Failed Architecture will lead a speculative research workshop, November 10-13 in Witten, Germany. In the 4-day workshop ‘Cutting up the Campus’, participants will explore the historical development and possible futures of the ‘campus’ from a wide range of perspectives. The on-site analysis of the large, brutalist Ruhr University Bochum, the private, postmodern Witten-Herdecke Universität and of course Urban School Ruhr’s (con)temporary storefront space will provide a starting point for further research into the social, spatial, economic and political aspects this specific architectural typology. The workshop’s intense, collective research will provide a sound base for speculations on the future of these and other educational spaces. Urban School Ruhr is a learning platform and a pedagogical experiment that investigates participative and artistic practices in urban space. USR is envisioned as an independent public institution and an assembly of individuals gathered together around a declared common interest. USR is a complex educational program of the Open Raumlabor University developed in cooperation with Urbane Künste Ruhr. Urban School Ruhr is free and open for all. For more information and registration (which is first come, first serve), see the USR website. 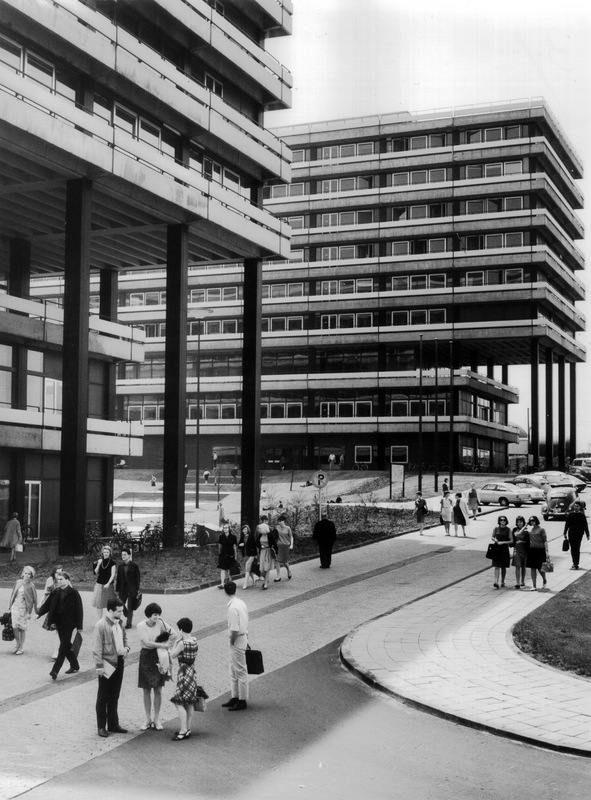 Ruhr University Bochum in the 1960s. 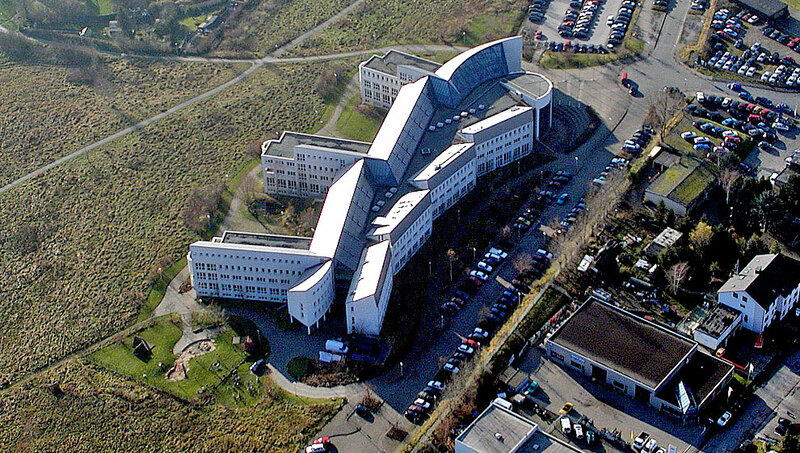 The 1993 building of the Witten-Herdecke Universität. 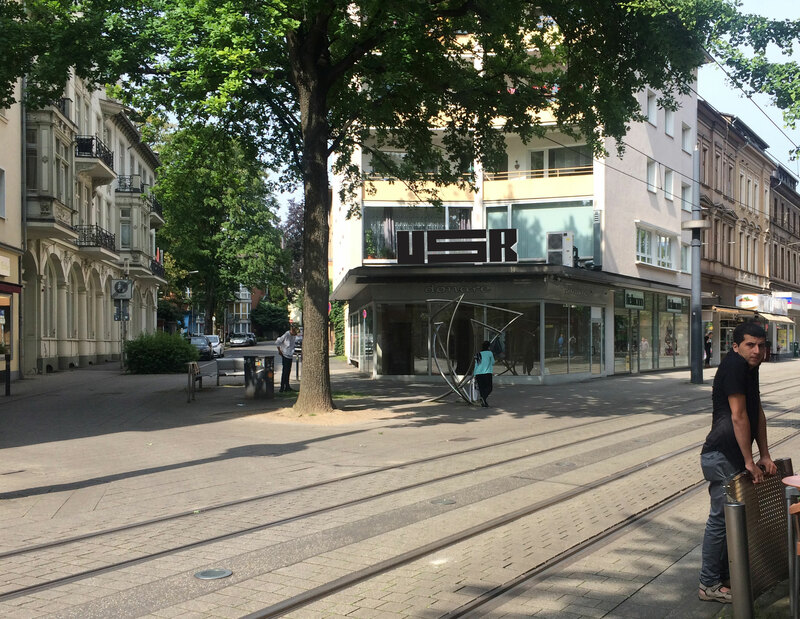 The Urban School Ruhr Headquarters are located in an empty storefront in Witten.